You might think they’re expensive at $400, but their sound and fit rival custom-made monitors that cost nearly three times more. 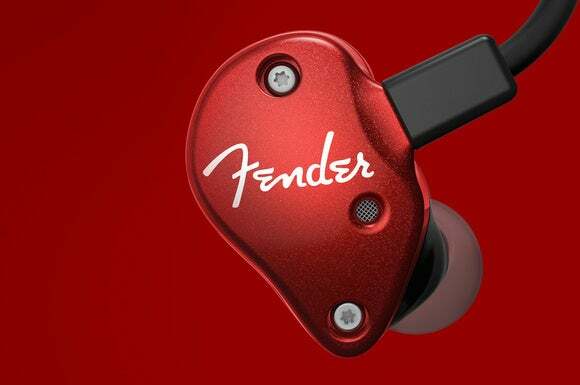 Fender Musical Instruments—yeah, the guys that build the Stratocaster guitar that Jimi Hendrix figuratively and literally lit on fire—have expanded into the in-ear-monitor business. Fender didn’t merely license its famous brand to some random manufacturer that will churn out dreck, but they didn’t start from whole cloth, either. Fender acquired boutique manufacturer Aurisonics last January, retained the original team, and tasked it with coming up with a new product line based on Aurisonics’ popular Bravo series of in-ear monitors. The crew delivered with five new models ranging in price from $100 to $500, including the next-to-the-top-of-the-line Fender FXA6 Pro ($400) in-ear monitors reviewed here. Choosing headphones, especially the type that you’re going to jam into your ear canals, is an intensely personal proposition. 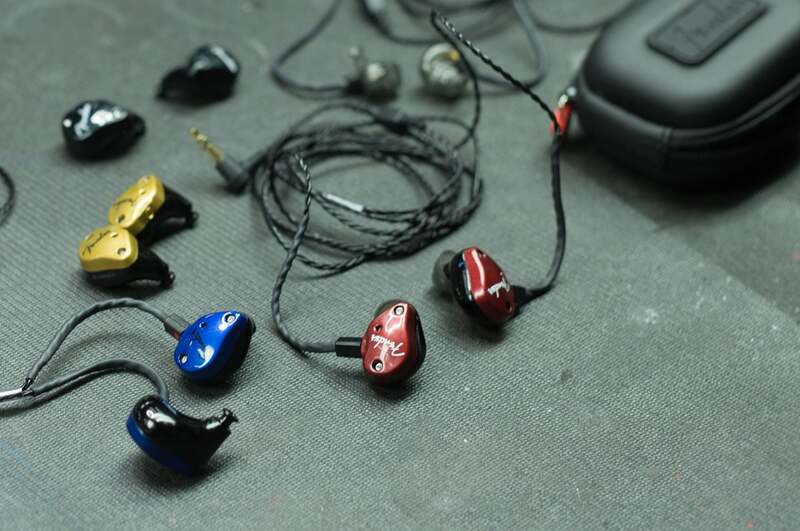 At the top of the market, you can purchase custom-fabricated in-ear monitors that are based on molds of your ear canals that you hire an audiologist to produce. I went that route several years ago with a pair of custom-made JH Audio JH13s, but the audiologist charged $150 and the earphones rang up at $1100. Having silicone goop squirted into my ear wasn’t the most enjoyable experience either. 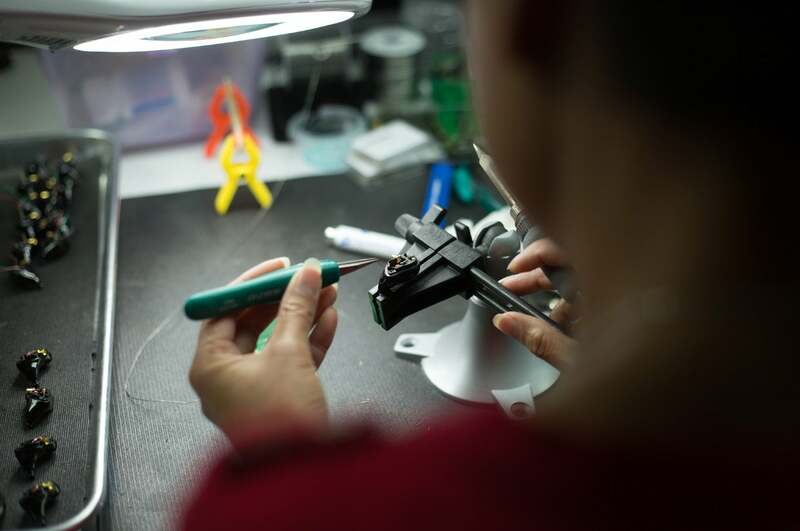 Four of the five models in Fender’s new line of professional in-ear monitors are assembled by hand at Fender’s facility in Nashville, Tennessee. The entire line shares some features: Each pair uses a detachable, braided MMCXi cable; delivers passive noise reduction of 22dB; and presents low impedance (16 ohms with the DXA1, the $200 FXA2, the $400 FXA6, and the $500 FXA7; 32 ohms with the $300 FXA5), so they can be driven by most any smartphone or digital audio player. Fender throws in a carrying case, an 1/8-inch-to-1/4-inch adapter, and a cleaning brush in the box. If you’re looking for earphones that you can use with your smartphone, be aware that none of these Fenders come with inline mics or transport controls in the cable for a digital audio player. Between the shape of the shell and the tackiness of the ear tip, the FXA6 Pro produced a tight-enough seal in my ear canal to block out nearly as much ambient noise as my custom-made in-ear monitors. Fender is not blowing smoke on that score—I was very impressed. It took a bit of fiddling to get the tips seated just right in my ears, and there was a bit of popping as they formed to my ear canal, but they felt very comfortable once they were settled in, and they remained comfortable for long listening sessions, too. Would I toss my JH13 for the Fenders? No way. The more-expensive monitors produced a better seal and they sounded better, too (more on that in a bit). But the FXA6 Pro are good enough that I’d have to think long and hard about spending that much money to buy another set of very-high-end in-ear monitors like the JH13. Fender produces the shells on a 3D printer because the ear tubes were too small to be accurately manufactured using the conventional injection-molding process. 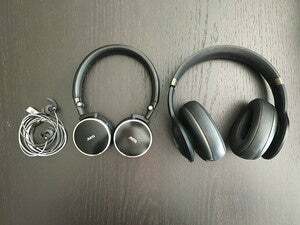 Most headphones are designed with dynamic drivers that are good at producing warm rich sound across the frequency spectrum. Dynamic drivers are also prized for delivering strong bass response. In-ear monitors typically use balanced armatures, a technology that originated in the hearing-aid industry, because the designer can carefully control which frequencies they’ll produce (they’re particularly adept at reproducing higher frequencies). The Fender FXA6 Pro uses a hybrid design consisting of a balanced armature for the high end and a 9.25mm dynamic driver for bass response. It’s a winning combination, to be sure. I connected the Fenders to a Sound Blaster X7 USB DAC and amplifier and played some of my favorite tracks with Foobar2000. First up was “Annachie Gordon,” from the Irish Northumberland folksingers The Unthanks (The Unthanks: A Retrospective). This album was encoded in 16/44.1 FLAC from the studio. Becky Unthank’s keening voice, and Niopha Keegan’s backing vocals, sounded absolutely splendid through the Fenders. This is a mostly acoustic recording, and the monitors did a great job of presenting each instrument—from the acoustic guitar to the chimes—distinct and separate from each other. They sounded brighter than the JH13, which is somewhat ironic since the pricier monitors use balanced armatures exclusively, but not unpleasantly so. I had a similar experience with Eric Whitacre’s “Equus,” from his Water Night album, which was encoded in 24/96 FLAC. Being an orchestral piece, “Equus” has a whole lot more going on, and this work in particular presents challenging dynamics for any audio system as it transitions from its pensive opening with just the woodwinds and building slowly as the strings join in until the composition explodes as the brass and percussion come into the mix. It was easy to single out each instrument’s contribution—from the oboe to the violins and percussion—without shortchanging any of them. If you can squeeze $400 out of your budget, the Fender FXA6 Pro are very special earphones. The way they fit and the way they sound rival competitors costing several times more. I like them a lot. Fender's FXA6 Pro in-ear monitors rival the fit and performance of custom models that cost several times more.